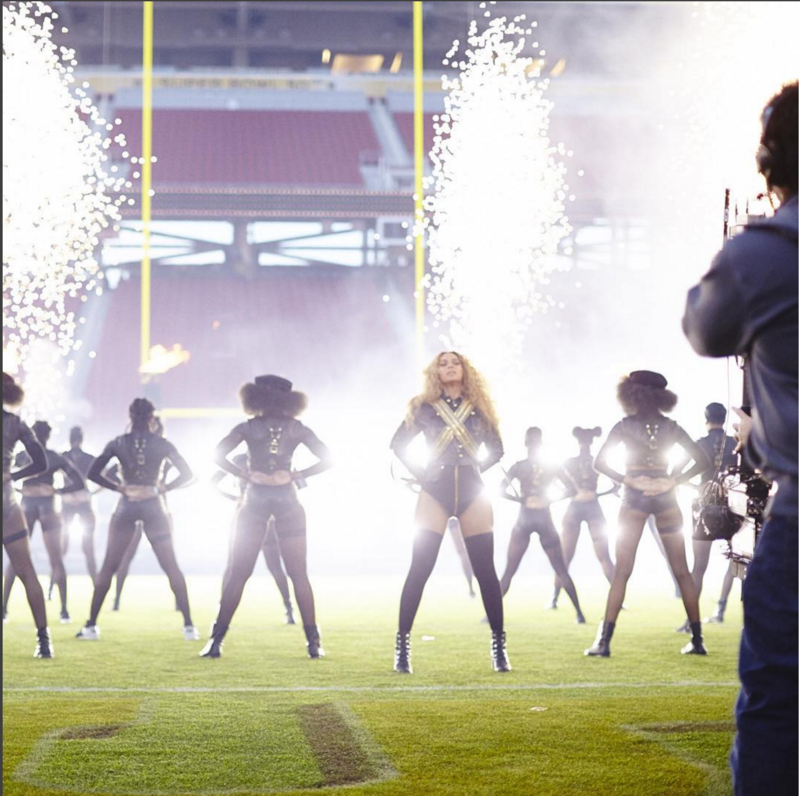 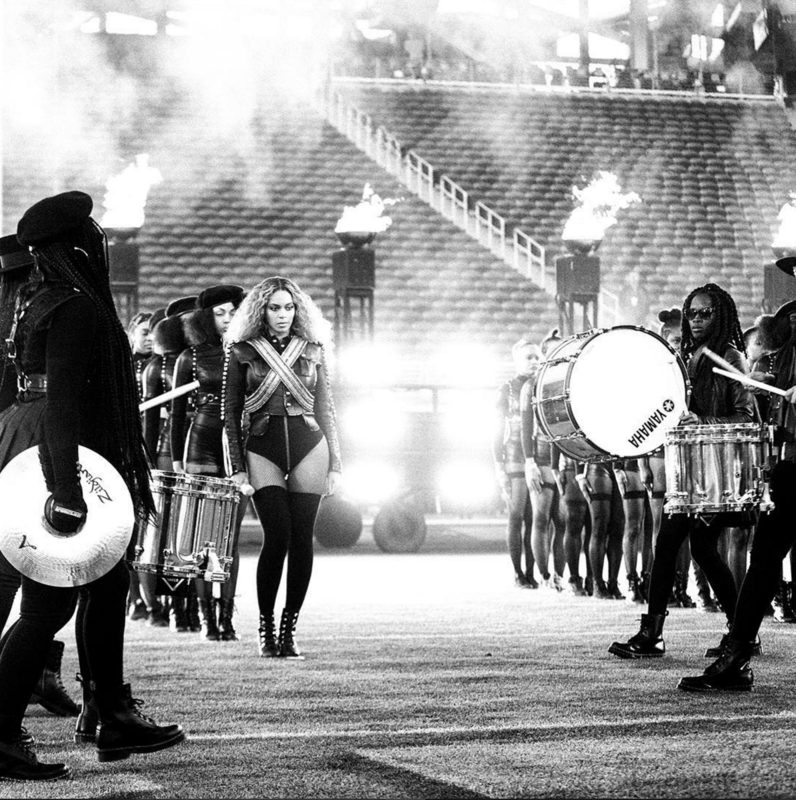 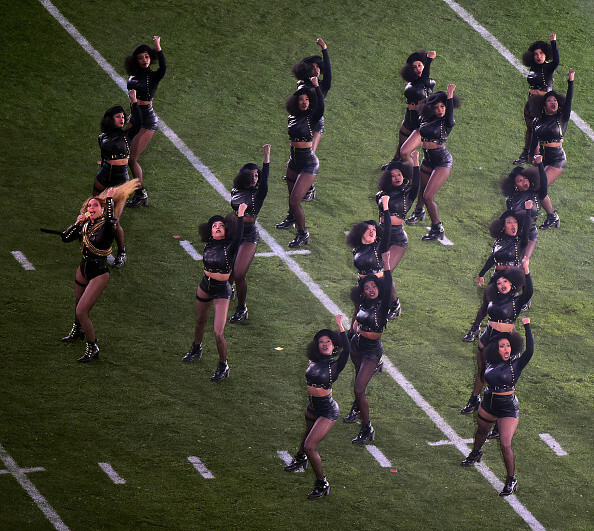 Beyoncé shut down the 2016 Super Bowl halftime show with the debut performance of her new single, "Formation." 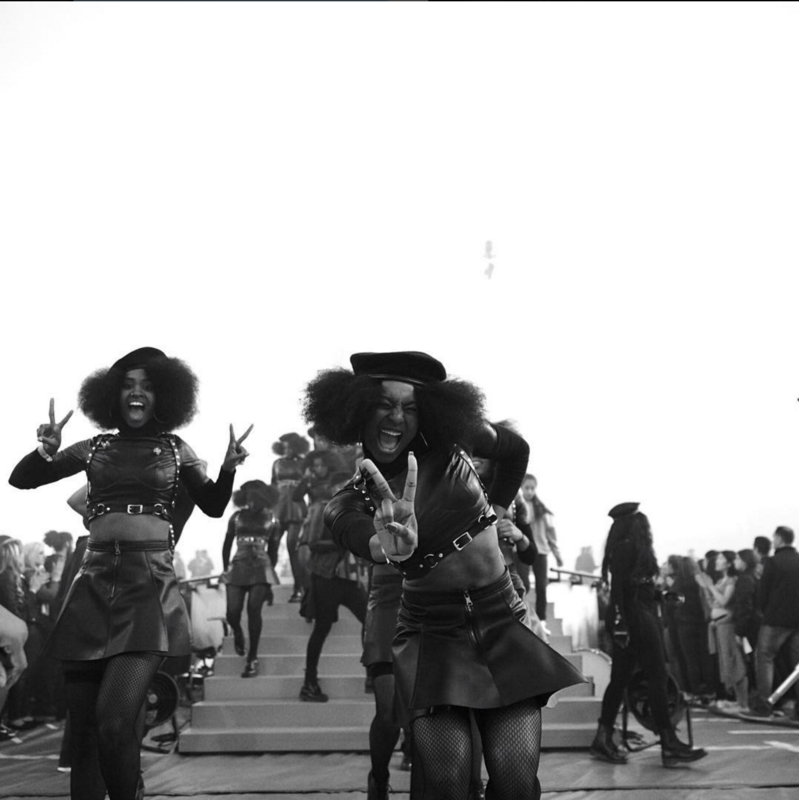 Queen Bey continued the theme of her Black Lives Matter-inspired video with a preview of the song that featured dozens of dancers dressed like Black Panthers. 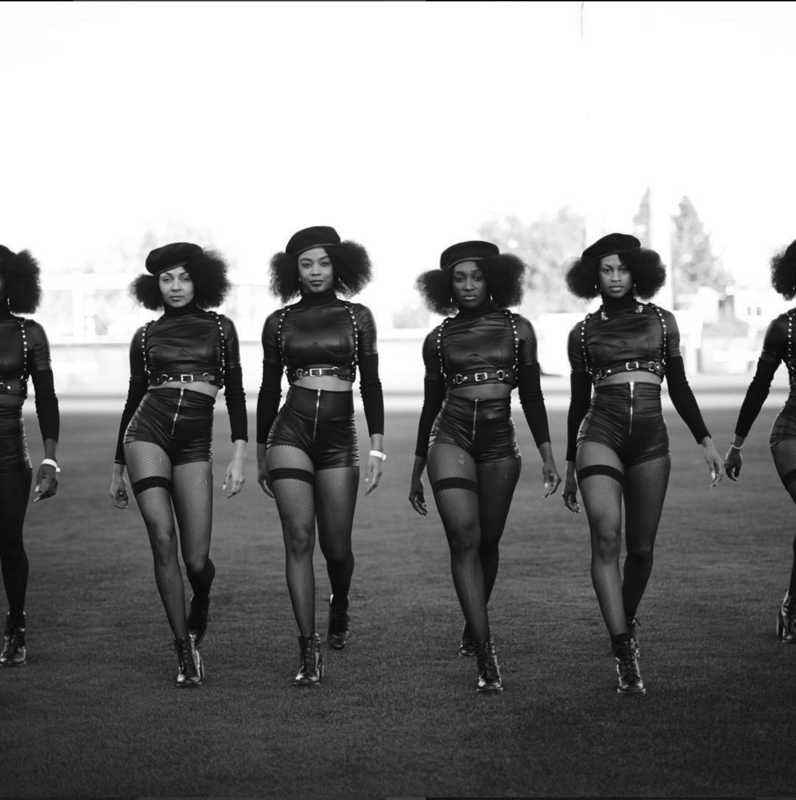 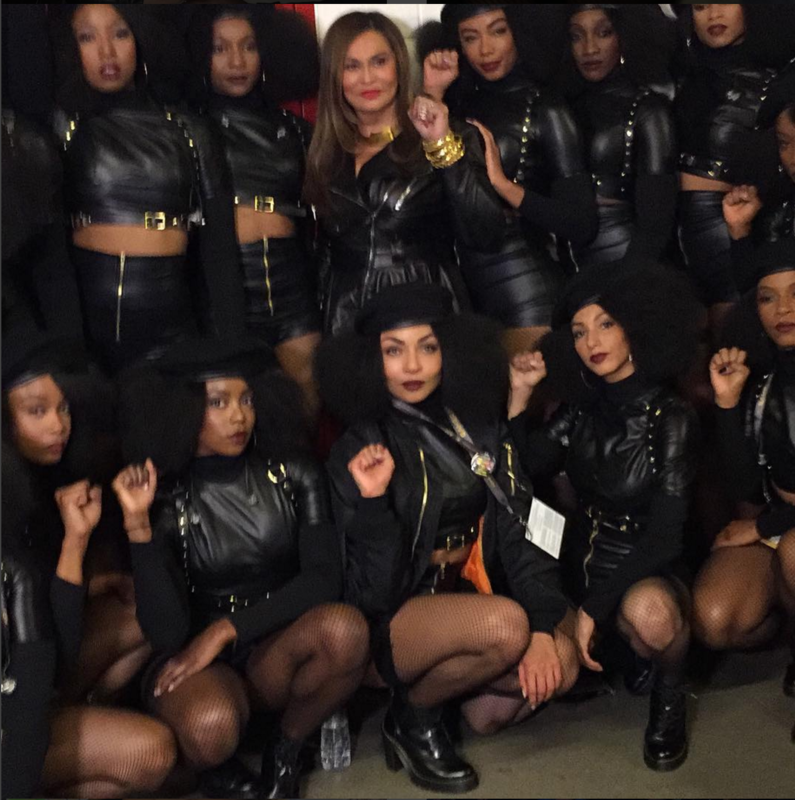 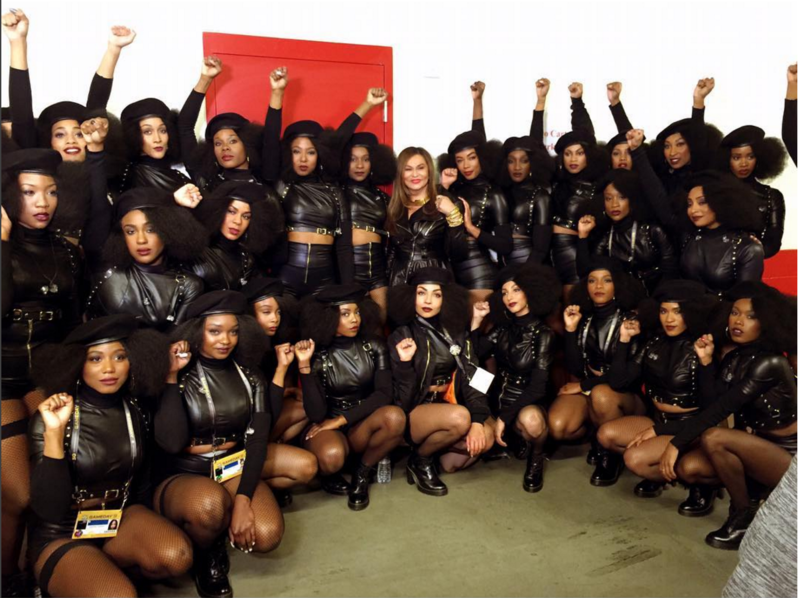 Black women of every shade were represented among Bey's dancers. 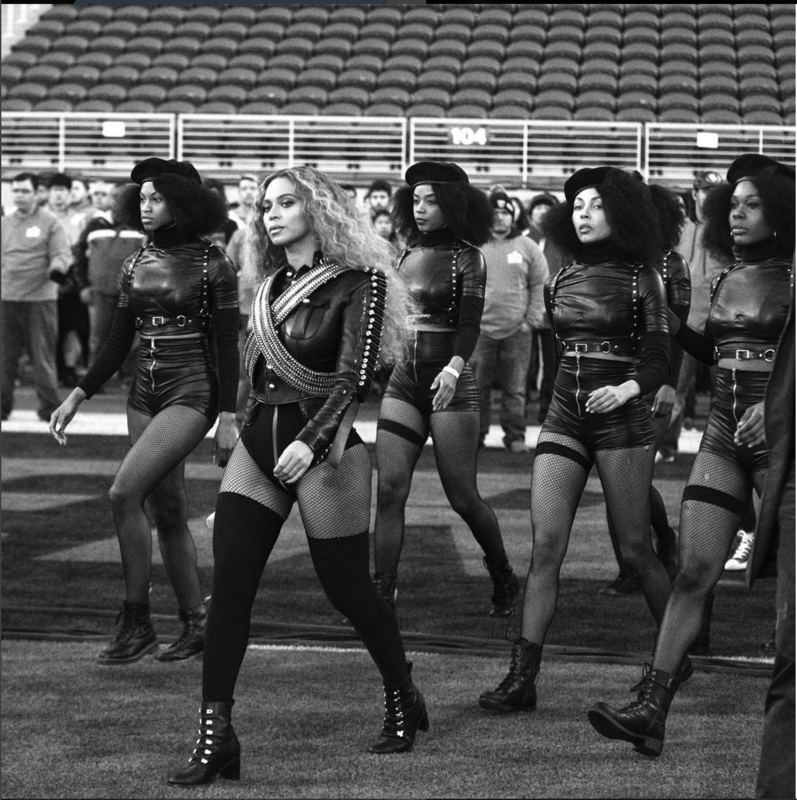 We don't often see women with afros on stages this big.